Lot pricing for the remaining parcels in FirstPark is now available from Executive Director Jim Dinkle. Lots range from 6 to 28 acres. FirstPark services are provided by the Town of Oakland. Each lot is pre-permitted by the Maine Department of Environmental Protection, served by fiber in underground conduit, within Foreign Trade Zone 186 and easily accessible to Interstate 95 Exit 127. 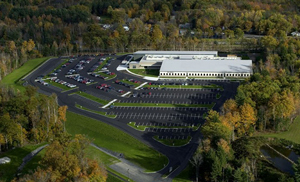 For more information, contact Jim Dinkle, Executive Director, FirstPark, (207) 859-9716 or exdirector@firstpark.com. This office space near the entrance to FirstPark is presently the only existing office space available within the park. The property has high visibility and is convenient to Exit 127 off of Interstate 95. It is located at 25 FirstPark Drive at the corner of N 2nd Rangeway. T-Mobile is hiring at its 133 FirstPark Drive facility in Oakland. Applications are being accepted for Customer Service Associate Expert, Technical Care Expert and a Team of Experts Coach. 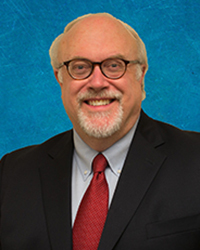 Kudos to the Mid-Maine Chamber of Commerce’s March 14 Business Breakfast Series featuring Maine International Trade Center President (MITC) Wade Merritt. Wade was accompanied by Julia Munsey, Director of Membership and Corporate Development. Wade spoke about emerging international markets his office will position Maine trade to grow, export assistance the center provides, tariffs and he lauded central Maine’s Foreign Trade Zone 186 administered by the Central Maine Growth Council. After the event, MITC staff visited FirstPark and we are discussing marketing and other synergies between both our organizations. Last year, 2,087 Maine companies exported $2.8 billion in goods and services to 169 countries. International trade supports 157,300 Maine jobs. FirstPark is Now on Facebook! This month, we launched our new Facebook page! Be sure to like the FirstPark business page to stay up-to-date on all the latest real estate news, job opportunities, business developments and events happening at FirstPark. You can like the page right now by visiting www.facebook.com/FirstParkMaine. In April, we will have exciting news about a new tenant moving to FirstPark! In addition, we will begin canvassing FirstPark’s employers as part of a wage and benefits survey to update FirstPark’s economic impact on the region. The survey results will be presented this summer. Beginning in early June, Executive Director Jim Dinkle will conduct a wage and benefits survey of FirstPark employers. The survey will measure FirstPark’s economic impact on the region. The survey will be voluntary and all information provided will be confidential. More details to follow in May. 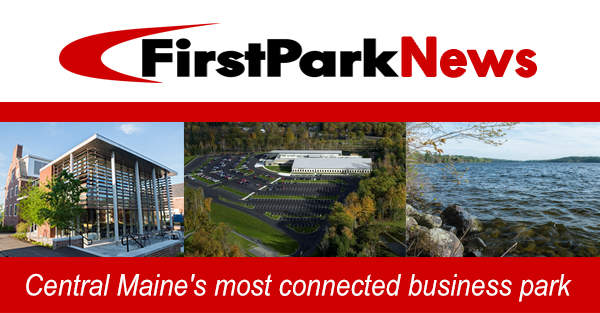 FirstPark will be represented May 23-24 at the Maine International Trade Center’s 2019 Trade Day and we will serve as an event sponsor. The topic of Trade Day this year is “Maine’s Future in the Global Bioeconomy.” For more information, visit the MITC website at www.mitc.com. Saturday, June 15, FirstPark will be a co-sponsor of One River CPA’s 5K and Kids Fun Run. The Kids Fun Run will begin at 8:30 a.m. followed by the 5K Run/Walk at 9 a.m. To register or for more information click here. Call Jim at 207-859-9716, email exdirector@firstpark.com, or fill out this form on our website.